Cat #20112 | I Want To Draw a Cat For You! 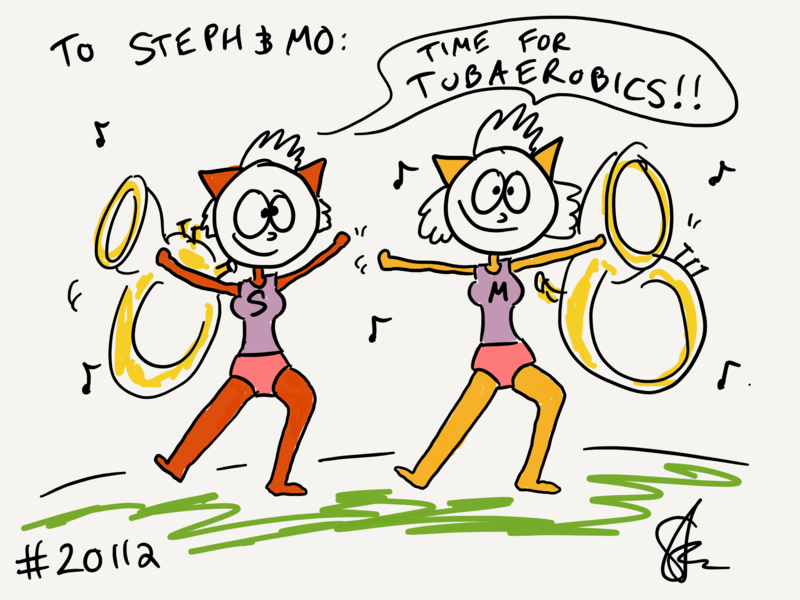 Steph and Mo wanted two cats teaching a Tubaerobics class! Whoopy!